Spindrift is a private gated oceanside to oceanfront community near the southern end of Corolla on the Outer Banks of North Carolina. Located just north of Pine Island, Spindrift features private beaches with easy beach access as well as close proximity to Corolla activities, shopping and dining. 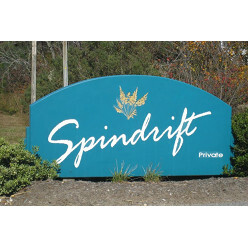 Spindrift is an ideal choice for families looking to relax and enjoy their vacation in style. If you like large lots and a sense of seclusion, you’ll love Spindrift. With one-acre vacation rental home sites, there’s plenty of room for you and your family to spread out and relax without bumping elbows with neighbors. Surrounded by natural scenic beauty and within shouting distance from miles of secluded beaches, it makes the idea setting for family vacations, reunions, or getaways. If you enjoy fun shopping and dining experiences, the TimBuck II Shopping Center is only minutes away.